In our first installment of Teacher's Corner, we share a how-to guide for integrating research-based reading comprehension practices into units on novels for struggling middle school readers. This guide was developed by TCLD researchers and is based on lessons used in studies focused on RTI in secondary schools (see Pyle & Vaughn, 2012; Vaughn & Fletcher, 2012). Students in these studies who received these lessons outperformed students who did not. Middle school is a time when academic expectations rise and, for many students, reading and analyzing complex text is challenging. The 2017 National Assessment of Educational Progress reports that just 36% of eighth-graders read at or above the Proficient level. Fortunately, although the impact of interventions in the secondary grades is generally smaller than that of early interventions, studies show that reading interventions do make a difference for adolescents (e.g., Wanzek et al., 2013). In fact, the research base has identified that effective literacy practices exist for middle school students (Scammacca et al., 2007). The goal of this post, and the Teacher's Corner series broadly, is to help bridge the gap between research and practice by offering teachers and other practitioners resources that may improve their practice. As part of a multitier intervention study for struggling middle school readers, TCLD researchers developed lesson plans to support students as they read brief novels in a reading intervention class. The lessons, which are research-based and aligned with state standards, were delivered by teachers during 50-minute intervention class periods. 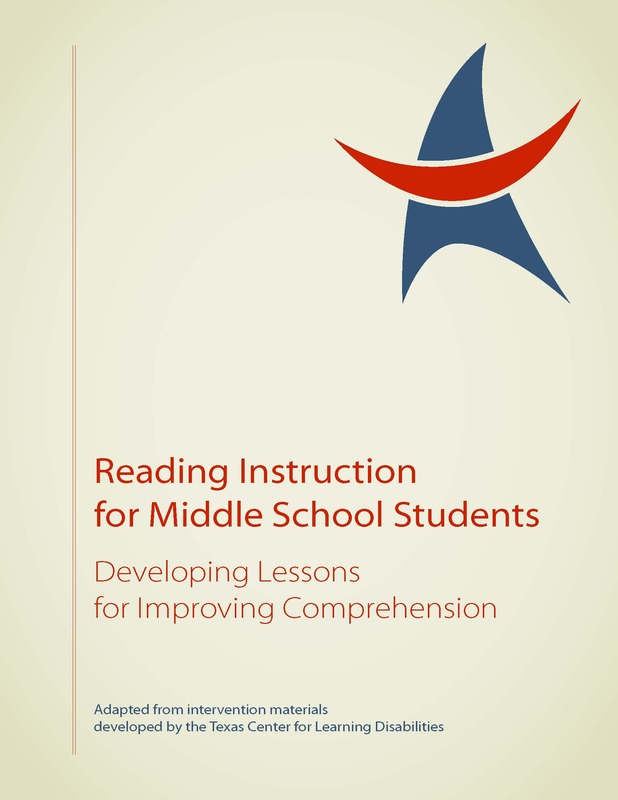 Based on the lesson plans used in the research study, we created a guide, Reading Instruction for Middle School Students: Developing Lessons for Improving Comprehension, to help you create your own lessons to improve your students’ reading comprehension. The guide provides detailed descriptions of the practices used and the instructional resources required (e.g., graphic organizers, response cards, learning logs). Also available are fully developed lesson plans for some of the novels used in the intervention, Iqbal and Any Small Goodness. What Practices Are Included in the Lessons? The instructional practices varied for each novel chapter but were typically structured in the following manner. Teachers explicitly introduce new vocabulary words and ask students to predict the events of the chapter they’re about to read. Throughout the novel, teachers also activate and build background knowledge prior to reading. As students read the chapter using a teacher-chosen format (cloze, choral, partner, or silent), teachers instruct students to use various comprehension-monitoring strategies, such as getting the gist and generating questions. Instruction concludes with teachers leading students in a review of the vocabulary words learned earlier through various games or activities. Students also summarize the text, verify predictions, and get the gist of the chapter. 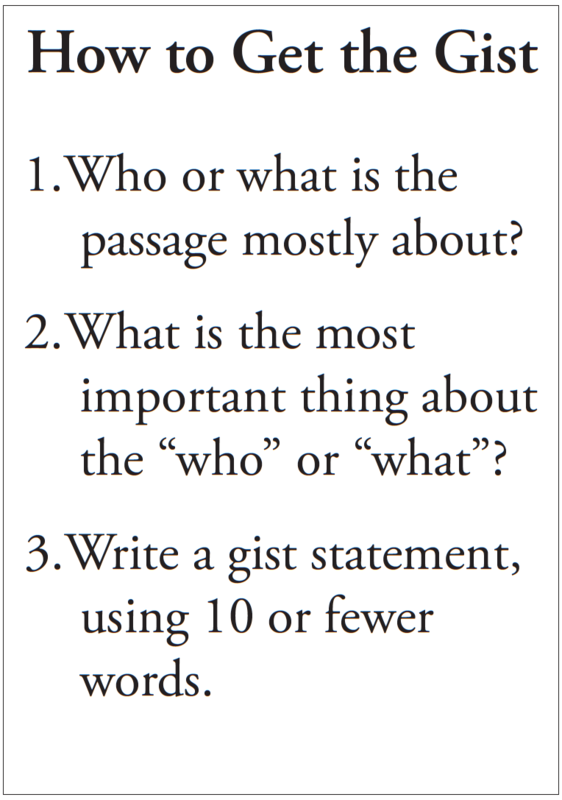 As we emphasize in the guide, it’s important to explicitly teach students how and when to use reading strategies by modeling them multiple times; conducting “think-alouds”; providing ample opportunities for practice with immediate, direct feedback; and allotting time for independent practice. Keep in mind that closing the reading gap for older students with significant reading problems is likely to take several years. But don’t be discouraged; the research is clear—students can and do benefit from reading interventions! Teachers can learn more about implementing the instructional practices in this guide by viewing this webinar. More details about the TCLD intervention study and RTI in middle schools can be found in this easy-to-read report. For questions related to the lesson plans or other TCLD work, contact us.